Because the rules you live by come only from the best. In the course of your lifetime, you will learn a lot of things from the books you've read, to the people you've met and the problems you've encountered – but no life lesson would ever be worth more than the ones you've learned from your mother. 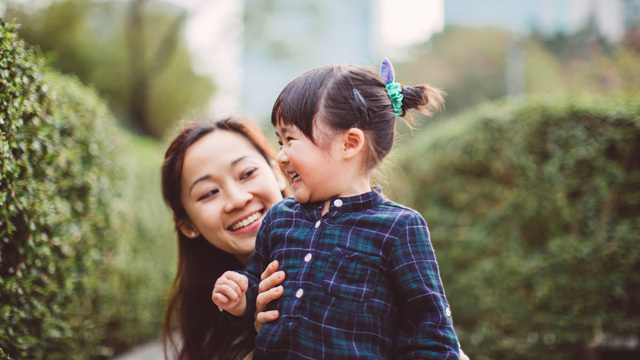 Here are a couple of valuable lessons you can only learn from your #SuperMom. Your mom has probably told you several times that kindness towards everything and everyone is very important. Kindness includes being friendly, considerate, generous and giving. You've been taught to be kind to other kids in the park, to schoolmates and work colleagues. You've been encouraged to share and consider everyone's well-being apart from yours. Kindness starts from the home, from your mom who has always been a great example. Apart from knowing when to apologize, moms have also always been the first to teach kids how to be grateful. Your mom has taught you to see the good in everything and to appreciate whatever it is you have, no matter how small. Your mom will always be your number one fan. She will always be there to lift you up when you are feeling down. She will always believe you are the most wonderful person in the world. Your mother sees what's great in you when you are unable to be proud of yourself. Your mom is also always the first person to encourage you to trust in your own mind, believe in your own capabilities and be proud of who you are. Having the right amount of confidence in yourself will take you a long way – all thanks to your mom. Moms are also big about being humble and knowing when and how to say sorry. They have always been very diligent when it comes to reminding kids about boundaries. They are the first to call you out when you have done something wrong and they have always showed you the importance of apologizing. Moms also always make sure you are wise enough to admit your mistakes and own up to the faults you have commited. Moms have to be able to handle a lot of things at the same time – apart from being incredibly selfless, mothers are also the most patient people in the world. Watching your mother handle stress, sadness and life's challenges will allow you to see the importance of not complaining all the time and taking things to a stride. Moms stop at nothing to give what their family needs and to let everyone that matters to them feel loved. Be thankful for the precious mommy wisdoms your mother shared with you while you were growing up. Never miss a chance to make your #SuperMom feel special all the time by doing little good deeds for her and appreciating everything she has done for you. You can celebrate her with SM Supermalls during the weekends, through feasts fit for a queen at the SM foodcourt or enjoy sweet bonding moments at several of the mall's stores. #SuperMoms will always be the greatest teacher and a wonderful source of inspiration. Check out the heartwarming video below that features how moms go above and beyond for the people they love. This article was created by Summit StoryLabs in partnership with SM Supermalls.